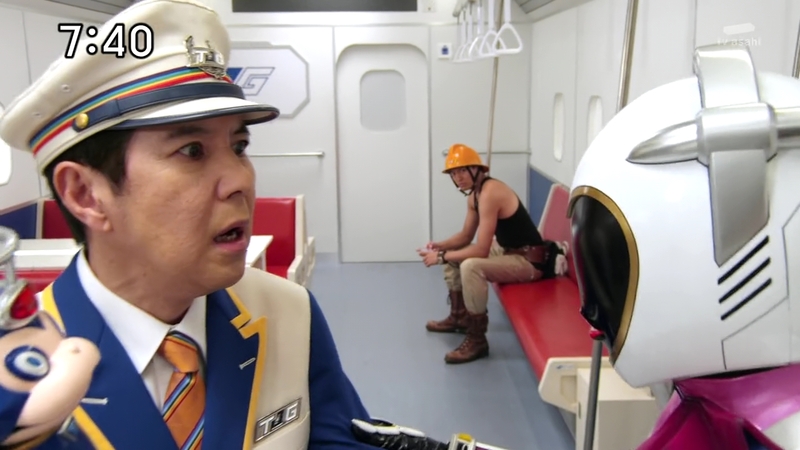 Conductor repeats that the ToQgers have been disbanded. 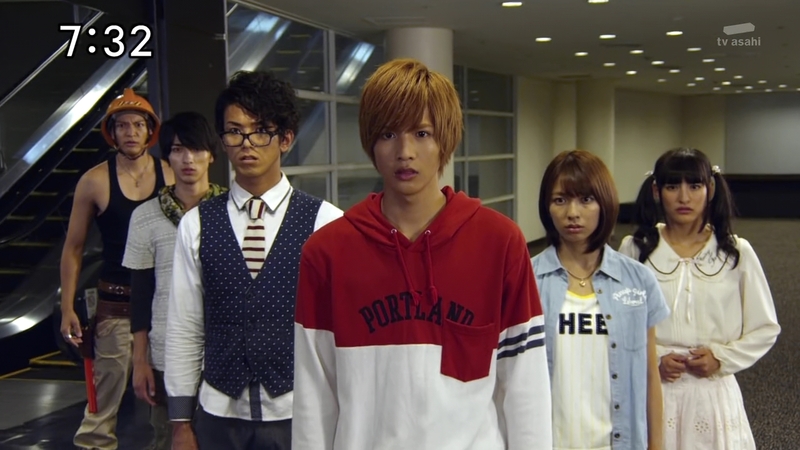 The ToQgers are shocked. 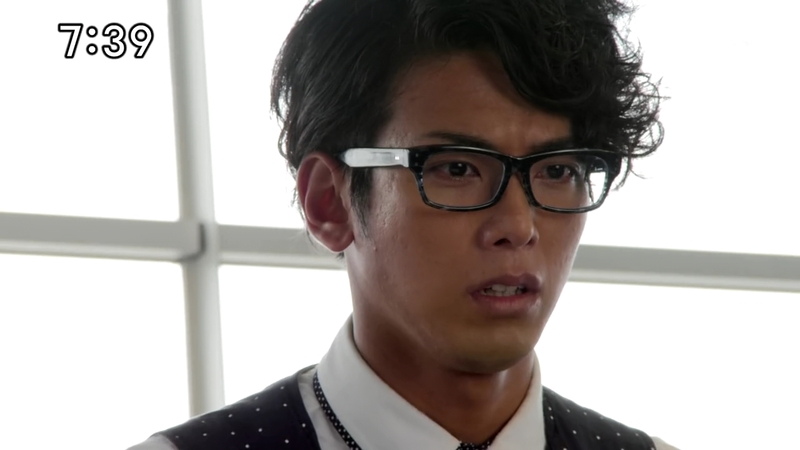 But Wagon suggests maybe they’re getting split up just so they can have a reunion and become ToQger 2! Ticket reiterates than No, that’s not what it means. The ToQgers are no longer ToQgers. Conductor says he and Ticket were also taken aback by the news from the Rainbow Line President. Right decides to go talk to the side dish himself. The others follow. They run through the huge Terminal only to stop when they see something utterly shocking. 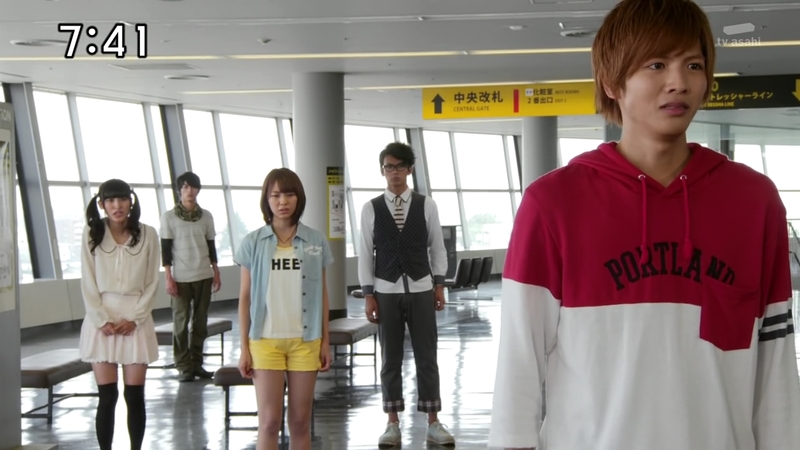 The ToQgers stop when they see their reflections on a glass wall. Only… it is their younger selves that are staring back at them! Akira sees them, but is also shocked to see their young reflections. The ToQgers head back the Resshas and try to wrap their heads around what they just saw. Ticket says that’s why they should have let them finish explaining. Conductor tells them to please listen before they get any more surprises. Conductor and Ticket confirm that they really are only children. When Suburaugahama was swallowed by the darkness, the five of them were spit out because of their powerful Imaginations. The President borrowed from their powerful Imaginations to give them adult bodies to help fight the Shadow Line since adults are more immune to the Darkness. In short, they have the powerful Imaginations of children as well as the defenses of adults. That’s why their only memories are from their childhood. But why are they being disbanded now? Conductor and Ticket say it is for their own good. Over at Castle Terminal, Nero is just learning of Schwarz’s reappearance. But Madame Noire says she will do everything to keep Schwarz from laying a finger on the Emperor. Is it really the Emperor you want to protect? Marchioness Mork quips. 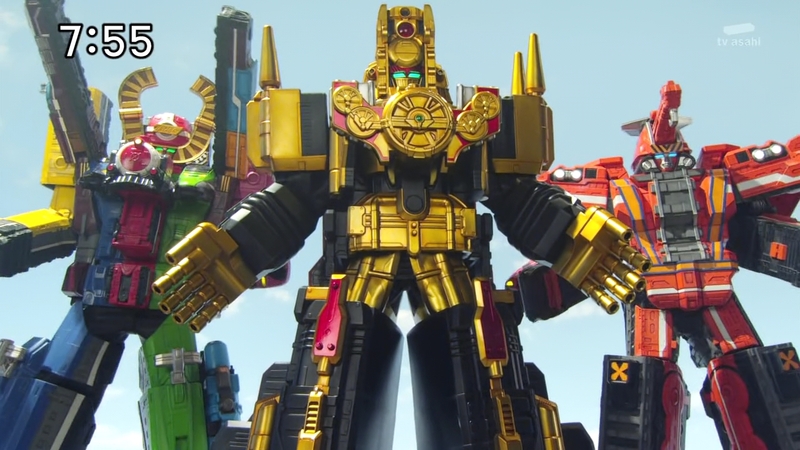 Anyway, it’s too bad they weren’t able to attack Hyper Ressha Terminal. But Nero says it’s okay since the Dining Set Brothers have more brothers to do the job. In fact, Mork is sitting on one right now. 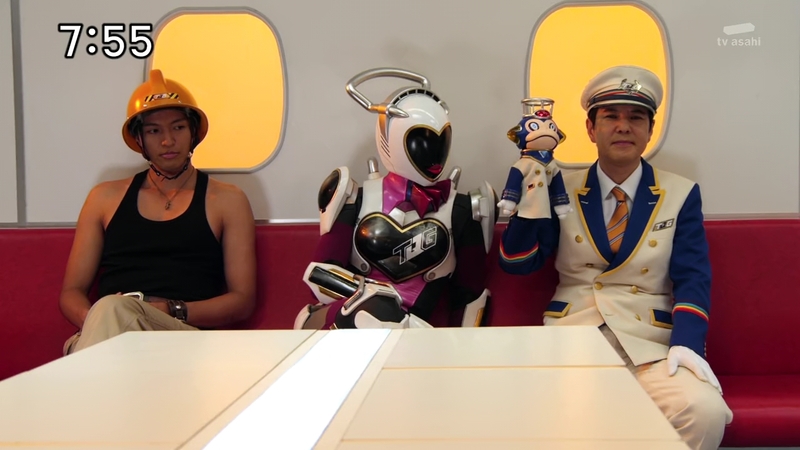 The ToQgers are off the Resshas and sitting somewhere in the Terminal thinking about what Conductor and Ticket have just told them. Conductor and Ticket tell Wagon that everything they said is true. The President says the ToQgers’ have been greatly affected by the Darkness, but not only that, they are changing on their own. They are growing, becoming more mature. And if they continue like this, they will no longer be able to return to being children. Which is why they must quit being ToQgers for their own sake. 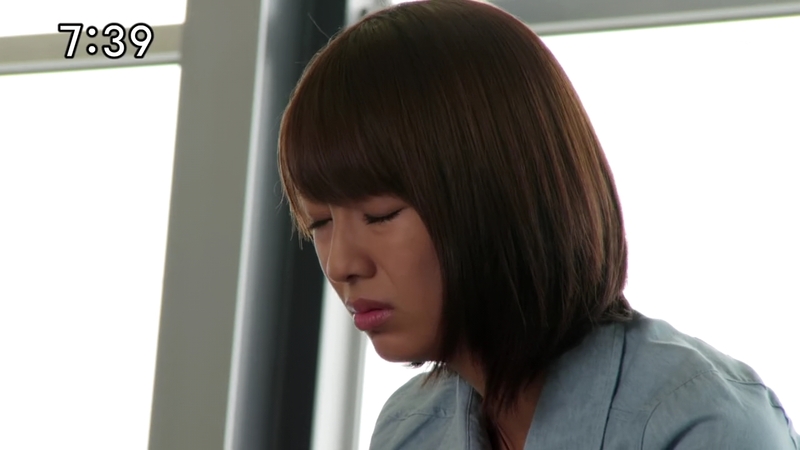 Ticket says they’ll just have to go with ToQger 2 now. The ToQgers try to accept that they’ll just have to let the new ToQgers defeat the Shadow and restore their town for them. 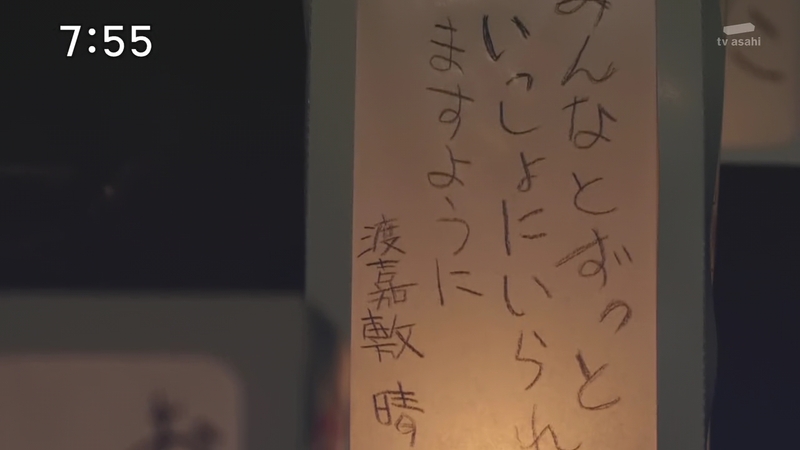 So we are just going to stay here in the Terminal and wait, Tokacchi says. Are you sure about that, Right asks. But Right says they’ve already changed since their times at the secret base. Suddenly, the alarm sounds. The President announces that the Shadow is approaching the Terminal. 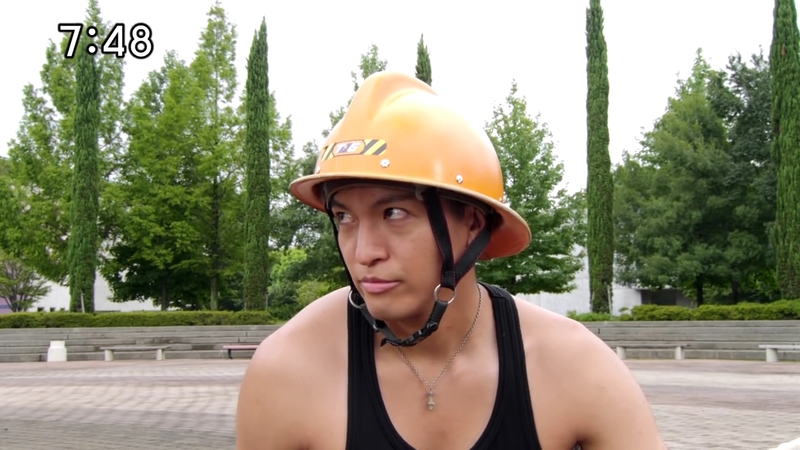 Wagon says they haven’t established ToQger 2 yet! But Akira says he will fight the Shadow himself. He’ll protect the Line back to their town. He promised. The ToQgers see the warning and Right starts to run. But the others stop him. This is one time he shouldn’t just run off. Right stops and says he’s decided he can’t wait and watch someone else defeat the Shadow Line. He’d rather die than do that. Yes, he can’t return to normal and he’ll cry when his mother won’t be able to recognize him, but he’s still going anyway. Right can see himself defeating the Shadow and restoring their town. If he doesn’t do it, he can’t see the Shouri no Imagination. That’s why he will continue to be a ToQger. The Dining Set Brothers are wreaking havoc in town and Akira goes to face them. Right runs, but gets stopped by a railroad crossing. Right sees his younger self on the other side of the tracks and then remembers. Right flashes back to that night. He’s just given his mother the lantern he made. But now, he also remembers his name. 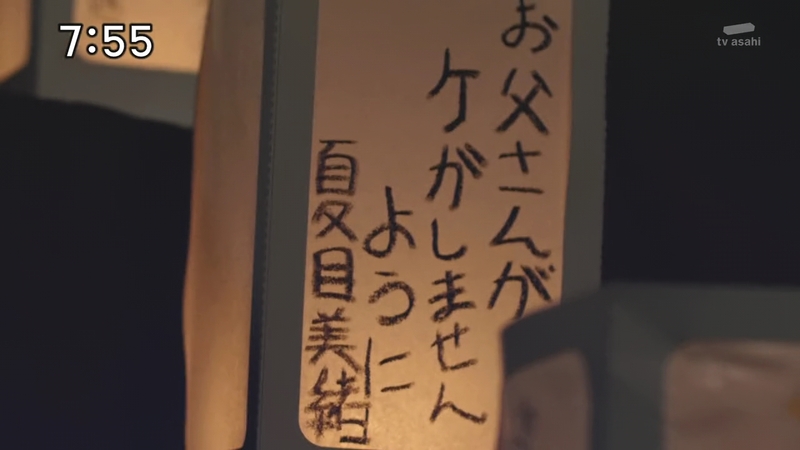 On a lantern with his wish to go to space is his name: Suzuki Raito. Right runs toward youngRight and they give each a high five as he crosses the train tracks. When he arrives, Right henshins and helps Akira take on a group of Kuros. Back at the Terminal, the others are coming to terms with the truth. Maybe they knew all along, but just didn’t want to believe it. They decide they will do everything they can to restore it, even if they change. They look behind and see their younger selves smiling back at them. They wave and then run off to help Right and Akira. The Dining Set Brothers have forced Right and Akira to de-henshin and are about to finish them off, but the others arrive just in time. Right can’t believe they are here. 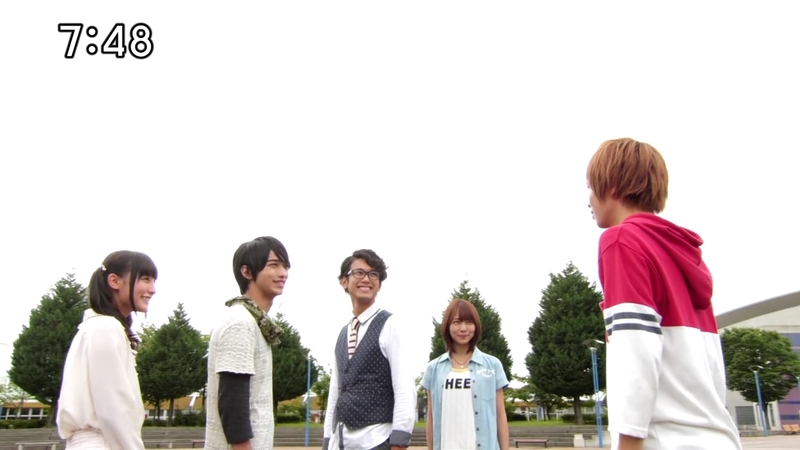 Akira is touched by their bond and he joins them as they all henshin together. They slash at the Dining Set Bros before Right goes Hyper. He summons the Daikaiten Canon and they send a Renketsu Crash with Akira’s extra boost. The Dining Set Bros embiggen. Ticket announces the departure of all the Resshas from the Terminal to form Cho ToQ-Oh. 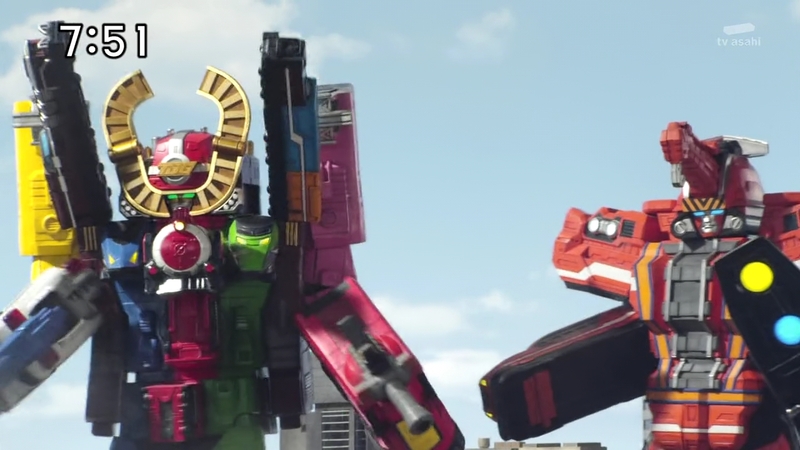 Akira hops into Build Dai-Oh and they both use all the Ressha armaments. The Dining Set Bros appear to be too much for them, especially with an extra large Chabudai. But the President makes an announcement. 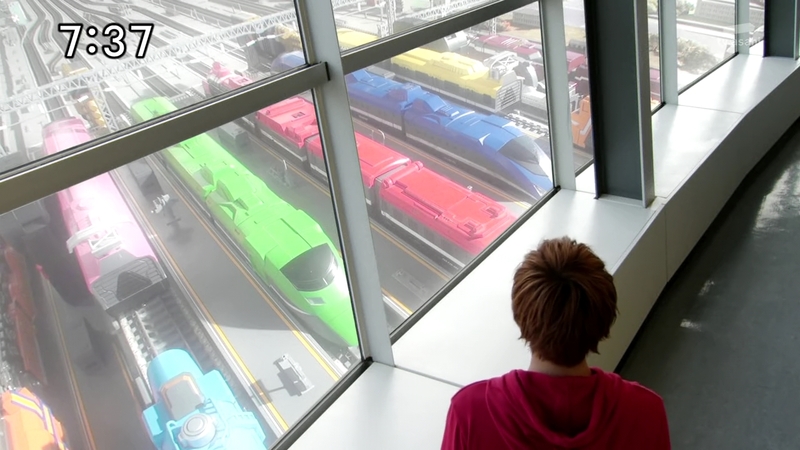 The ToQgers’ decision to continue has won his admiration and they now have permission to use Hyper Ressha Terminal. Ticket pops into the cockpit and tells the ToQgers. 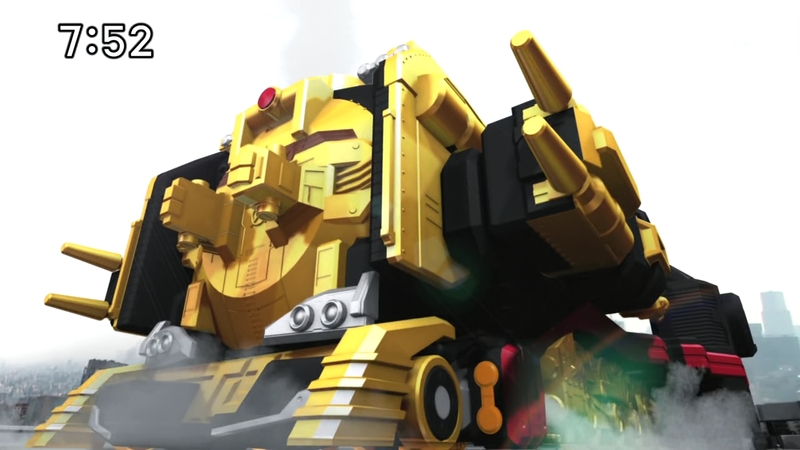 Right inserts Hyper Ressha and the Terminal turns into a huge train which manages to take care of one of the Chair Shadows by itself. 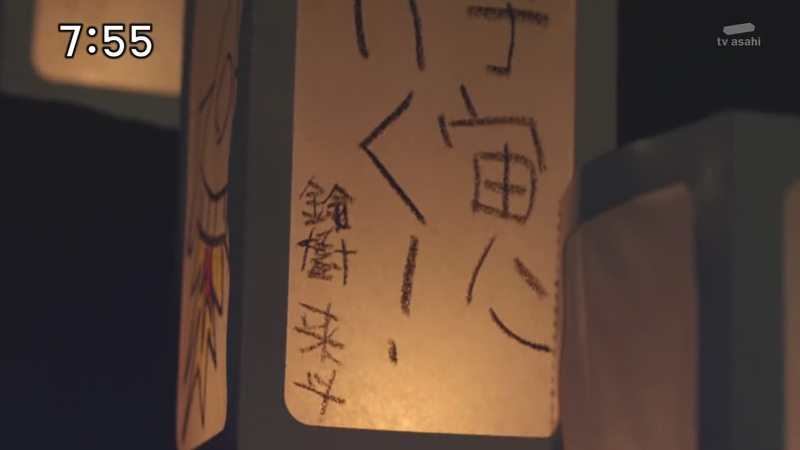 Ticket tells Right to pilot it and Right initiates its transformation to Hyper Ressha Tei-Oh. Now it’s three against three. Even Table Shadow is impressed. The others send a Full Burst Finish and Akira sends a Bucket Break to take care of the other Chair Shadow. 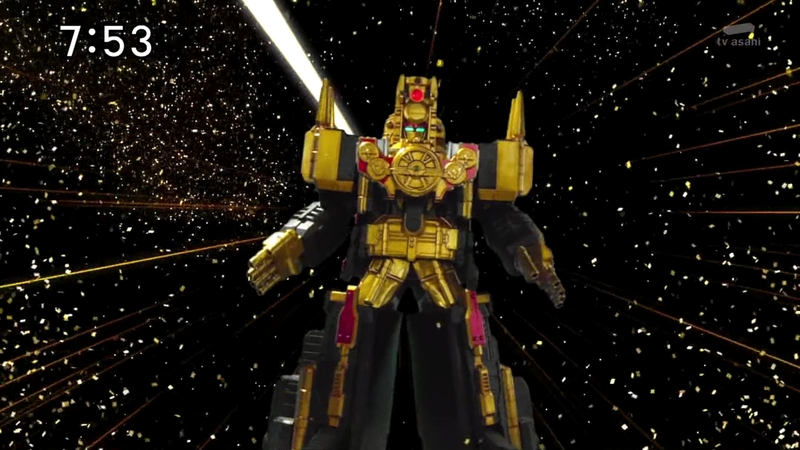 Right uses a Hyper Ressha Tei-Oh Giant Flash to finish off Table Shadow. Conductor, Ticket and Wagon cheer. The President wipes the sweat off his face… under the rabbit head. Hyper Ressha Terminal departs for its next location. 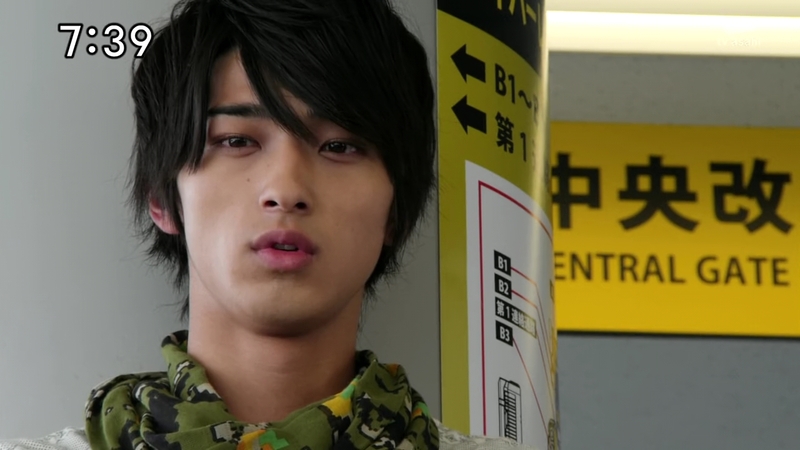 Conductor thinks the President sent Hyper Ressha Terminal because he wanted Right-tachi to continue. Indeed, Ticket says they’ve already drifted further and further from being children. How so? Wagon asks. Conductor says they know who they are now. They’ve taken a step forward and won’t be able to take it back. The ToQgers are on a hill looking up at the stars. 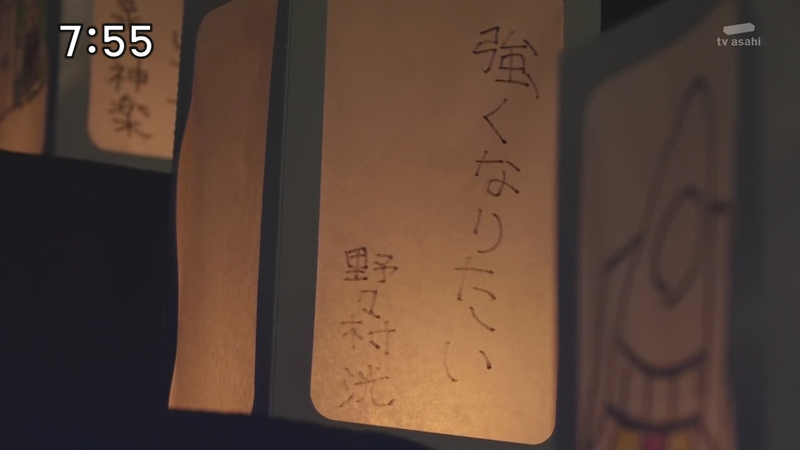 The others have also remembered their names. The ToQgers are happy now. They feel like they’ve remembered everything. Beautiful episode. I knew Kobayashi was going to give us something big around Episode 31. And she delivered big time. 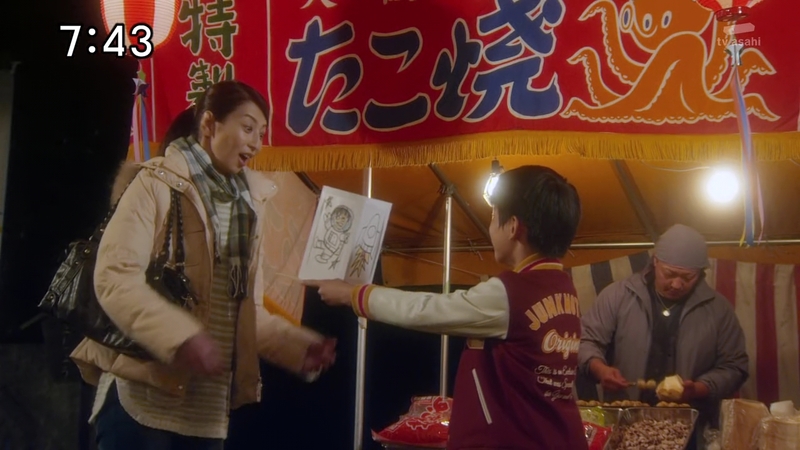 I think many fans have already accepted that the ToQgers are actually children, especially when they revealed that their town had been taken over by the Shadow Line when they were kids. 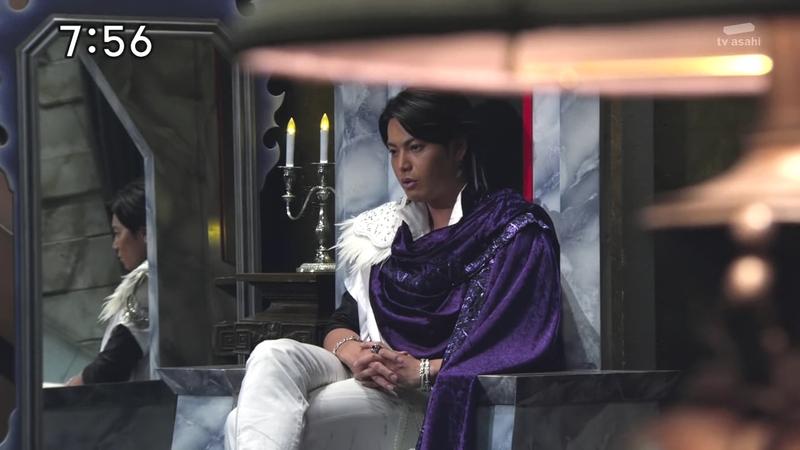 But what this confirmation does now is propel the ToQgers forward in a huge way. Like the Go-Busters did around this same point in their season, the ToQgers have now made a clear and tangible sacrifice. Any Sentai or Power Rangers team, sure they risk their lives to save the world. But here, we see the ToQgers acknowledge what they may be losing and still move forward for the greater good of their town and the world. It gives them more weight as heroes to have them know their lives will be completely different even if they defeat the Shadow Line and restore their town. With Go-Busters, they had to witness their families die just so they could defeat their enemy that was threatening the world. It really gives their mission that much more important and weight. This is a superhero show after all, and now we see just how much the ToQgers fit that title. I’ve always loved the scenes with the kids. I get all emotional and they’ve used the flashbacks and all those fade-ins and fade-outs to maximum effect. From the ToQgers seeing their reflections to them actually seeing their younger selves in front of them, they were some really effective and emotional scenes. It again also helps to reinforce their bond. It is a different kind of bond from what you normally or even ever see on a show like this. Akira looking at them after the others’ “We’ll always stick together” was amazing and was pretty much the same exact reaction I had. Just awesome. And again, I love the shots of the terminal with the trains parked on the platforms and then them pulling out. You forget that it’s just a small model train set. Those scenes look so good. And the excitement really builds when those trains start moving. 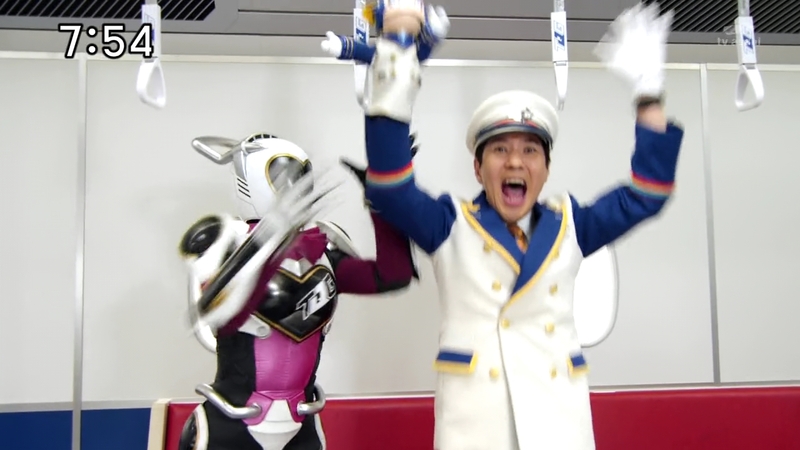 And how about that final scene of the ToQgers singing “Twinkle Twinkle Little Star?” Beautiful. Everything. All things. MaGMCMs everywhere. ← Recap: The Amazing Race Philippines 2, Episode 12 (Leg 2, Day 6) – "Are you happy now?!" Yup, that’s the next big mystery I guess! 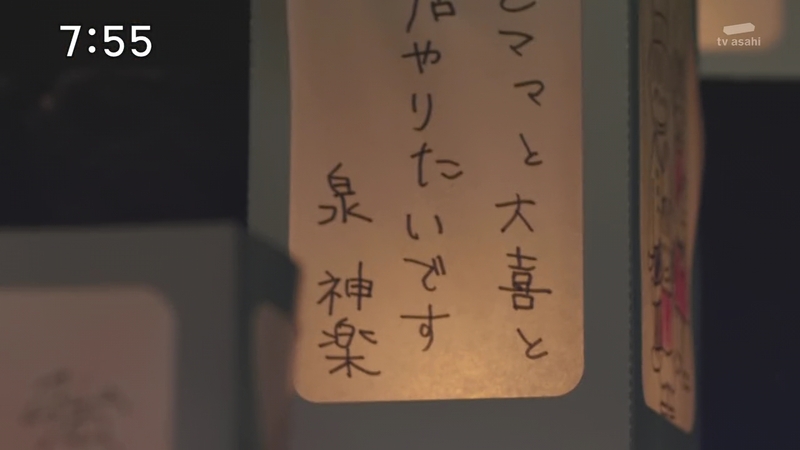 What is Zett’s connection to the night the town was engulfed. I cried at that part where they sung Twinkle Twinkle Little Star. So touching.